Babycakes is 10 months (plus one week) old! Time has really flown. At this stage in her life she loves playing. We basically put her down on the floor and let her have at it with her toys. We learned that she loves balls after getting her the Baby Einstein Activity Balls, so I started searching for baby ball pits. Her play area is already taking over our living room so all the options I found seemed to take up too much space for my liking. Then it dawned on me, just buy the balls and put them in her pack-n-play! So we got one pack of these phthalate free, BPA free, crush proof balls which has 100 balls. Hubs had the brilliant idea to take the ease of the ball pit one step further buy just putting them in a plastic bin we have from Ikea, that way we can just close it up and store it when she isn't playing! We ended up buying one more pack of 100 of balls to fill the bin up more. 200 is a little TOO many balls, as they overflow a bit, so 150 - 175 is probably the sweet spot. 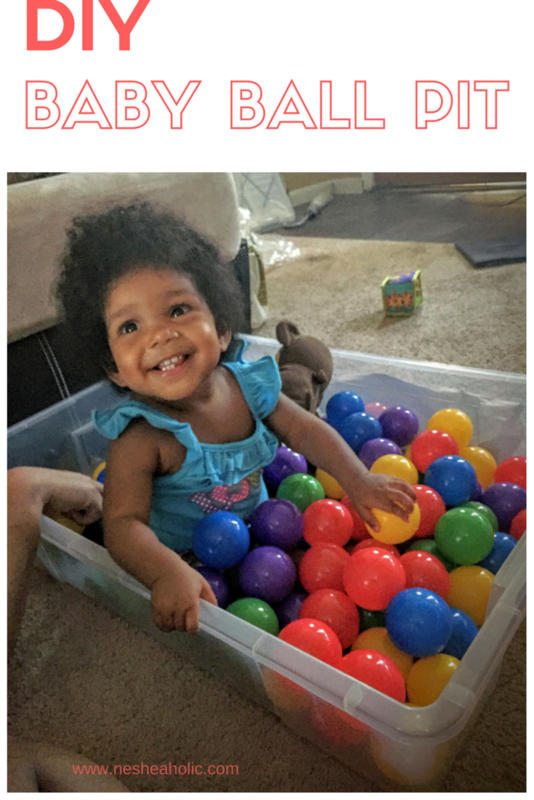 Either way, we have a happy little baby in her ball pit! What's the best DIY project you've done lately?